Recently I received a document from – I loathe to admit this – a fellow American — addressed to me in Vienna, Italy. I understand that Vienna begins with a “V” as does “Venice.” And both cities have six letter names containing an “i,” an “e,” and an “n.” But Vienna is not Venice and Venice is not Vienna UNLESS, you were one of 6000 guests at the Kaffeesiederball at the imperial palace this past Friday night. 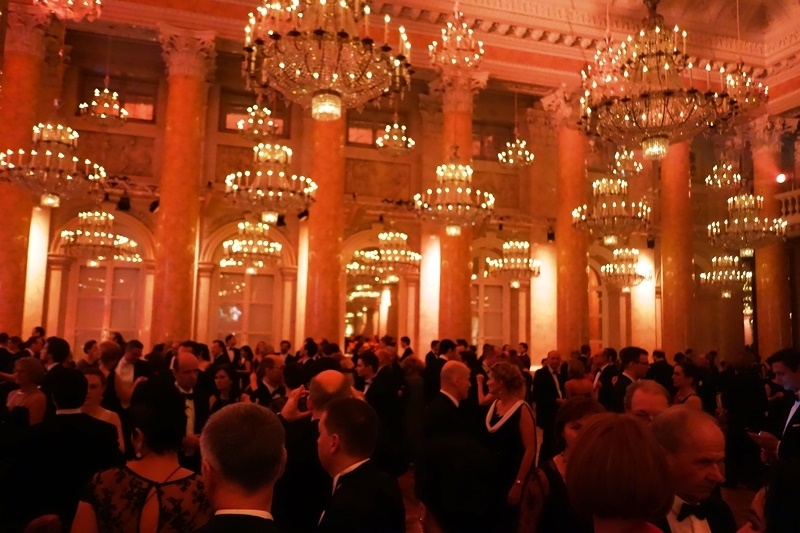 The theme of this year’s ball was “A Night in Venice.” Vienna’s Kaffeesieder have mastered the art of making a guest feel like royalty and their 58th ball in the imperial palace was no exception. Footmen donning red coats and white satin vests with gold buttons and trimming flanked the sides of the marbled grand staircase. All ladies ascending the red carpet to the ballrooms above were welcomed with a small gift resting on a silver platter — a brightly colored Carnival mask. The cakes designed by each of the various coffeehouses and raffled to guests featured designs such as the Rialto Bridge and gondolas. Your raffle ticket didn’t land you a Sacher Torte? No worries. Mine didn’t either but I did manage to score two bottles of champagne, a six pack of beer and a gift certificate to a coffeehouse. After all, every ticket wins. 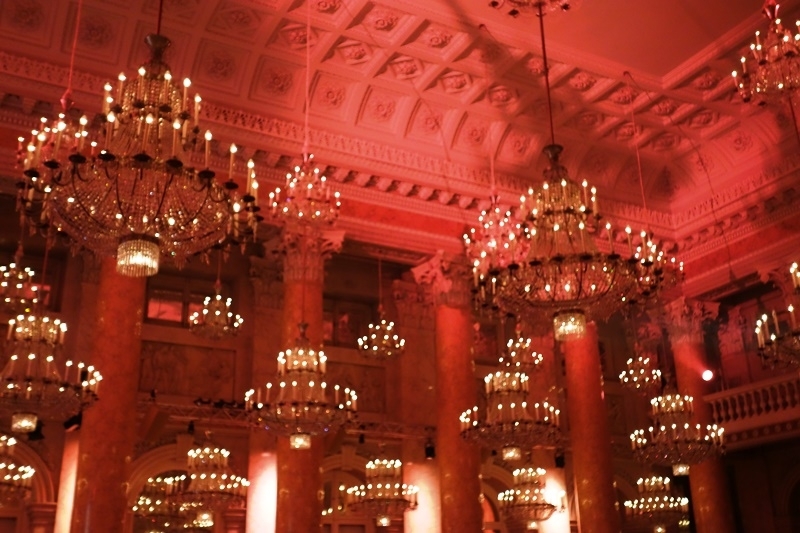 Over 11 bands and orchestras played in 7 different dance and ballrooms – to every kind of music from waltz, to polka to traditional Austrian folk songs to ABBA. Waltzing couples followed in the footsteps of the 88 white-gowned debutantes who opened the ball with their white-gloved partners in the grand ballroom. The DJ playing at the bottom of the Ambassador staircase had a great mix of music to get even the most rhythm challenged attendees jamming. Guests who preferred to rock a bit of the night away 60’s style could do so with the Bad Powells on the top floor. ABBA not your thing? The stair climb or elevator ride is still worth the effort to just hang out at the sky bar and enjoy the panoramic view of the palace dome and Rathaus at night. Hungry? There’s oysters flown in from France on the top floor, Würstel at the passage near the Ambassador Staircase, Gulasch and so much more at the bars across from the grand ballroom, Viennese winery food and song tucked away in the bottom floor of the palace near the Josefplatz entrance and Apfelstrüdel in the room across from the coat check. Tired? Grab a quick espresso in the Meinl coffeehouse near the entrance. Feeling dizzy from the hunger strike you embarked on two days ago to squeeze into your one-size too small gown or feeling a blister sprouting from your too expensive, too tight, too high, sparkly new heels? No worries, one of the balls two tuxedoed emergency doctors can rush to your side and save the day. Your partner not dance-happy? One of the 25 available “Taxidancers” hired by the coffeehouse owners is sure to keep your restless feet waltzing for a Strauss tune or two. At the end of the evening, at 3:30 in the morning, we decided to call it a night. 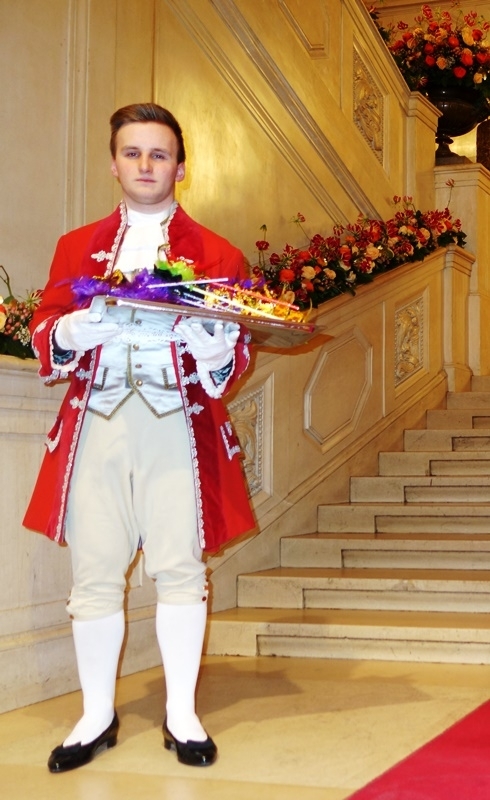 As we exited the palace, charming ladies in ball gowns placed a Damenspende – a bag filled with gift certificates, marmalade, tea, Campari soda, a porcelain coffee cup, Niemetz Schwedenbomben and other goodies into each of our hands. As we waited in the queue for a taxi, a white stretch limousine pulled up next us, tempting us to accept Café Landtmann’s generous free ride to breakfast in Sigmund Freud’s most beloved coffeehouse. I eyed my friend who gave an indecisive pause both of us reluctant to let the night (morning) draw to an end. But a gust of biting wind, her jet lag and my lack of sleep argued that it would be better to put our aching feet to bed. This year, a friend from NYC, Monique Patterson, who is an executive editor at St. Martin’s Press, flew into town for the weekend so she could come along. I had gushed about the ball at a conference we met at last year. I told her I didn’t understand why more people didn’t come to Vienna to attend the balls because they are so much fun. I mean, how often does one get to play Cinderella for a night and attend a ball at an imperial palace? She agreed and not even a half a year later, I was standing at Vienna airport early Friday morning, waiting for her red-eye flight to arrive. 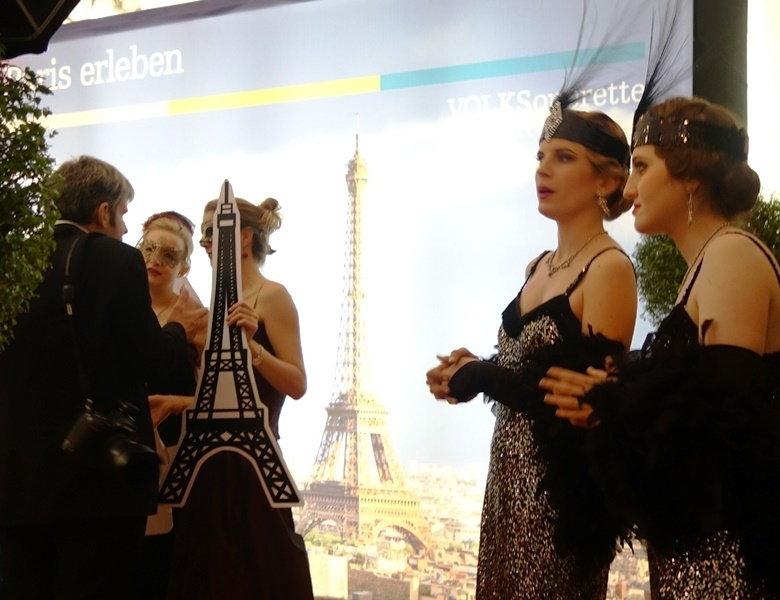 More images from the 2015 Kaffeesiederball from the Kaffeesiederball website. Missed Kaffeesieder? Try another one. Here’s the 2015 Ball Calendar.